Discover natural and organic haircare from premium, award winning haircare brands, for all hair types and concerns. Choose from Shampoos, Conditioners, dry shampoo's, oils, treatments and more. Shop the first ever truly organic and natural hair care and styling range, used by professionals from all over the world. 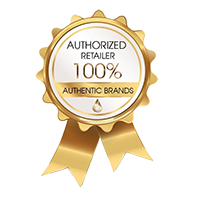 Free from synthetic preservatives, fragrances, colorants, sulfates, silicones and more. Organized by your specific scalp and hair concerns. It has never been easier to switch over to green, organic hair products.